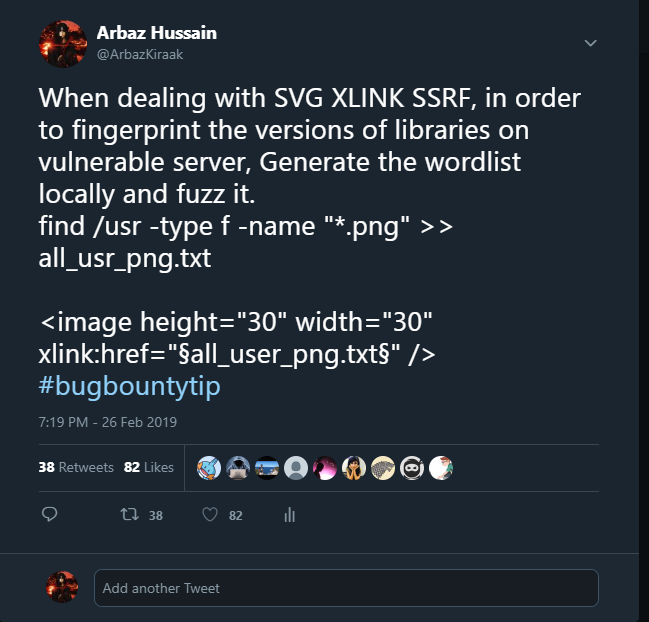 SVG is an XML based vector image used to display a variety of graphics on the Web and other environments, due it ’s XML structure it supports various XML features, one of the feature is XLink which is responsible for creating internal and external links within XML document. 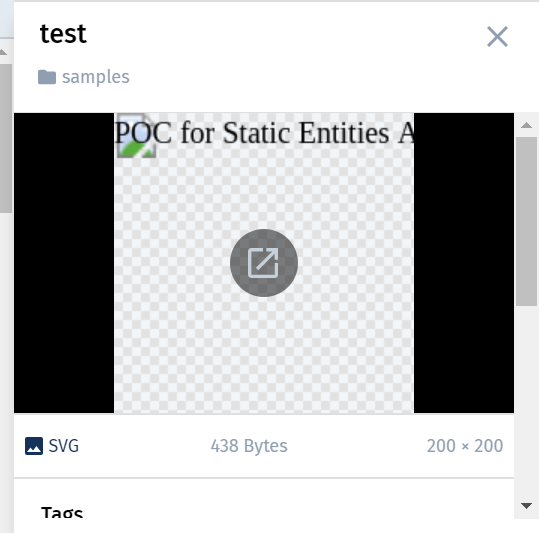 Since the application is accepting SVG based images, the second try would be to include the static entities to see if the parser is allowing custom entities. As parser is allowing static entities, Next step would be to include SYSTEM based entities along with DTD to fetch the malicious DTD which is more like XXE attack but parser was blocking system based entities in the backend, they had strong validation of the malicious malformed XML. Since parser is blocking SYSTEM based entities our attack surface has been limited, Now it’s time to test Billion Laughs attack since application allowed static entities. Always note that: Before blinding fuzzing the various XML payloads, make sure to understand the parser logic, Before trying the billion laugh attack, I threw the server with simple callback entity function to see if the parser allows rendering of xml1 entity through callback of xml2 entity. In order to enumerate all possible things, we need to build a wordlist for all possible local pictures present on the system. Now it’s time to make different port’s open or just with different paths& fuzz it along with all the internal picture path’s collected to fingerprint all possible libraries, script, tools installed along with versions.